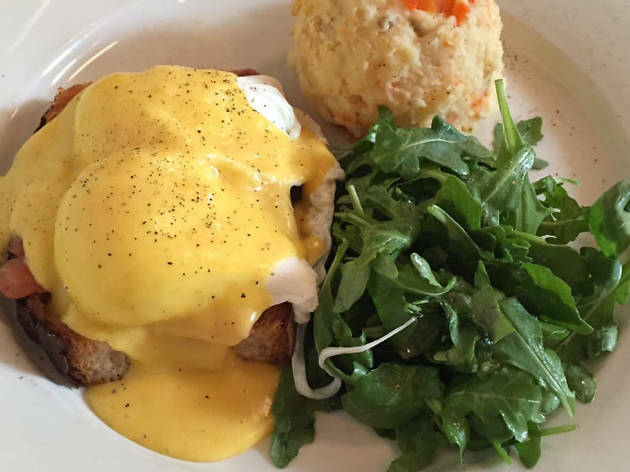 Brunch in NYC wouldn't be the same without that glorious combination of poached eggs, Canadian bacon and hollandaise—yes, were talking about the best Eggs Benedicts in NYC. 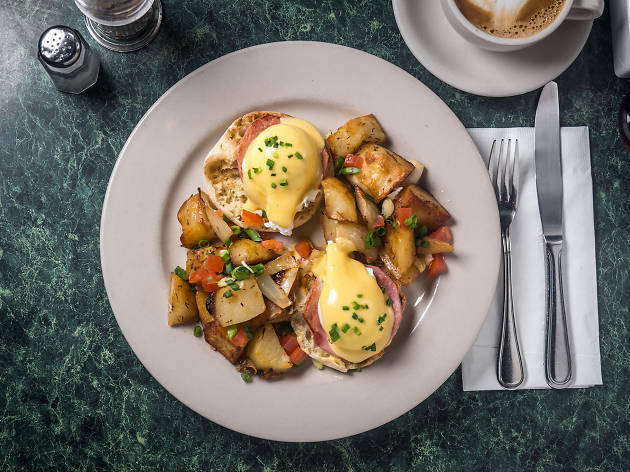 Whether you want classic renditions, clever twists or simply something with which to soak up those Bloody Marys, you can find the city's finest Benedicts at neighborhood cafes, diners and luncheonettes and, naturally, the best brunch places in Manhattan. From-the-package Thomas’ English muffins are toasted and topped with thick-cut Canadian bacon and two supple eggs, poached classically in water and white vinegar ($16). 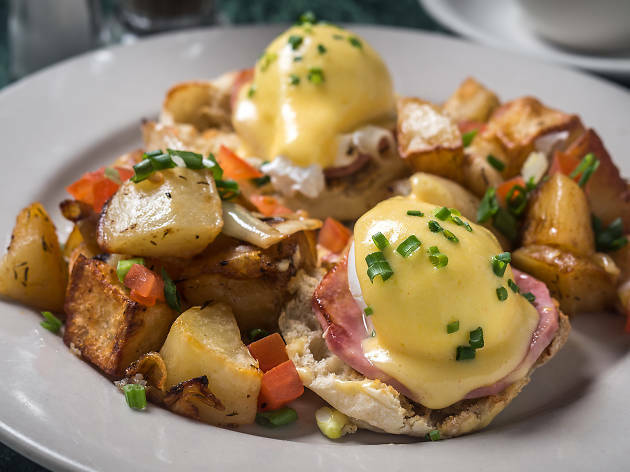 But it’s that cloak of hollandaise that elevates the dish to brunch greatness: The velvety emulsion, fortified with clarified butter and tangy from lemon, seeps off the eggs into the accompanying hash, adding a slightly sweet, rich counterpoint to potatoes, scallions and tomatoes. Plate-licking stuff. 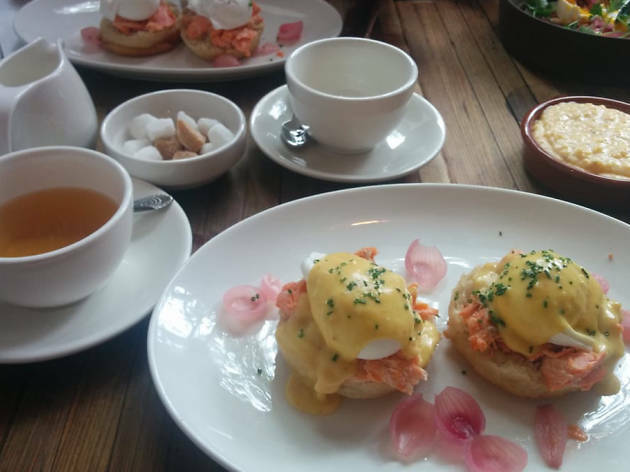 There are two types of eggs Benedict on offer at this Belgian charmer, and both are equally worthy: Where the Classic features slices of savory jambon ($16), the Royal pairs the traditional poached egg with silky ribbons of wild-caught smoked salmon ($18). 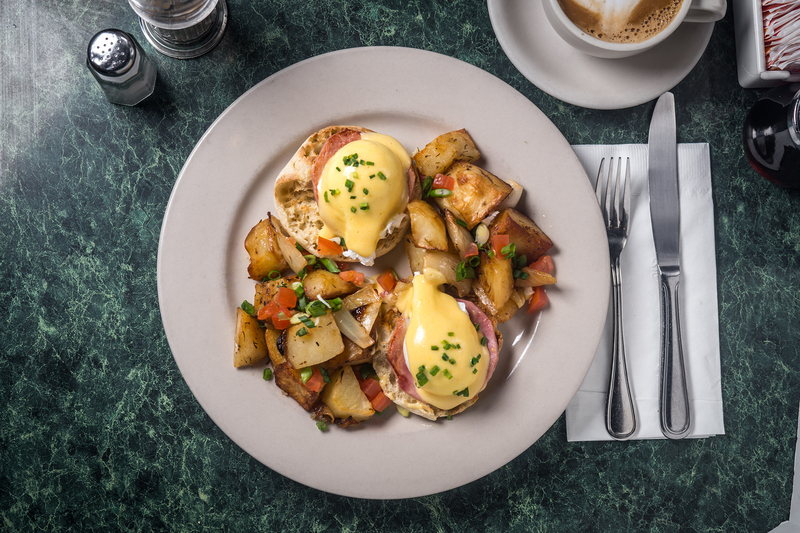 At Norma’s, breakfast is the whole affair: Gourmet egg and pancake concoctions are served in impossibly huge portions. 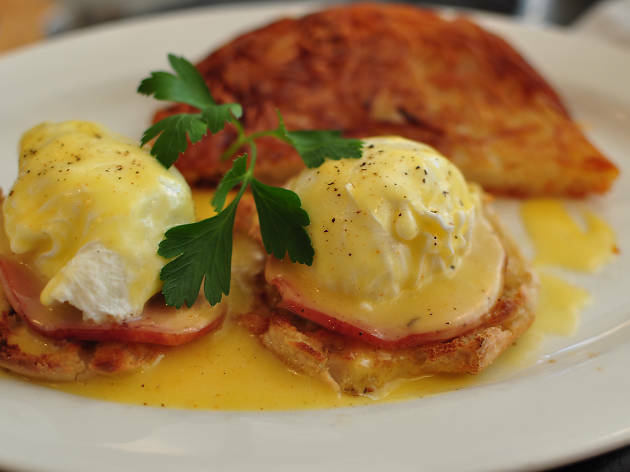 Consider the house eggs Benedict ($26), which poses a poached egg, Canadian bacon and grilled asparagus atop, of all things, a buttermilk pancakes, subbing in for the more traditional crumpet. 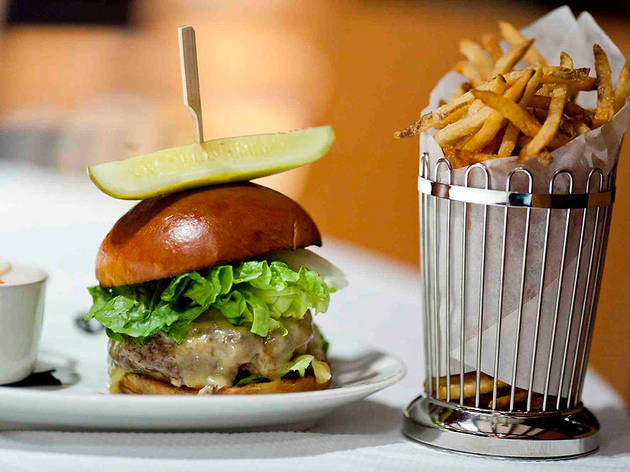 The cozy, tavernlike restaurant, located in the forgotten namesake Brooklyn neighborhood, specializes in fatty comfort foods. 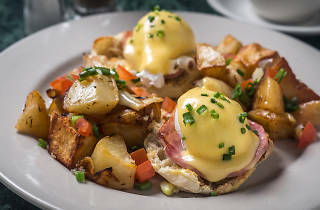 And yes, that means they make a mean eggs Benedict ($17): The kitchen updates the hollandaise-cloaked classic with salty slices of prosciutto di cotto and plucky knobs of pickled onion. 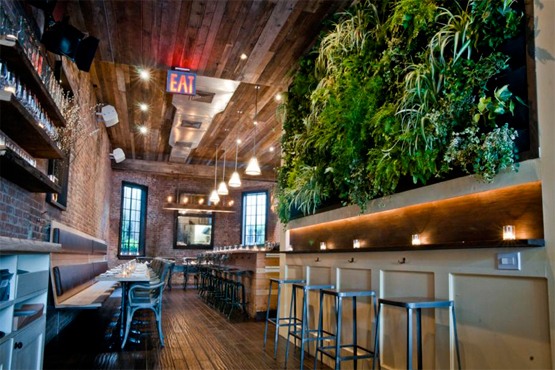 Tiny, well-lit Prune is still as popular as it was the day it opened. 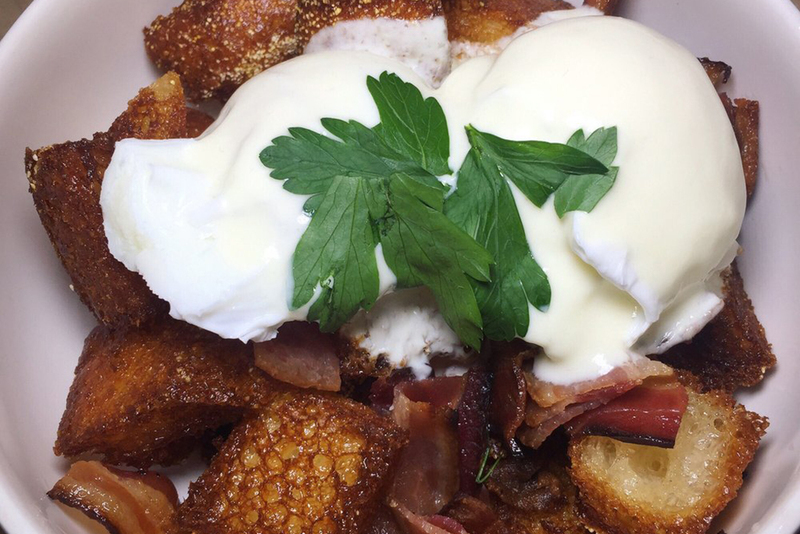 This is the area’s go-to brunch spot, so beware: The wait for a table can stretch over an hour. 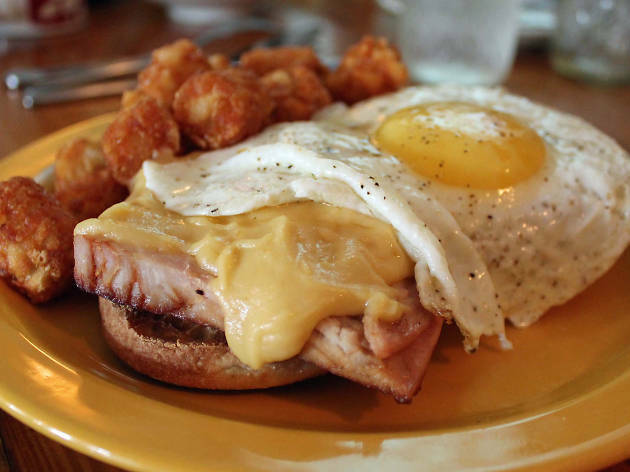 But it's worth it for plates like Gabrielle Hamilton's eggs Benedict ($16), a purist rendition that layers vinegar-simmered poached eggs with griddle-warmed Canadian bacon and a supremely buttery, cayenne-zapped hollandaise. The crispy slab of potato rosti on the side is the metaphorical cherry on top. 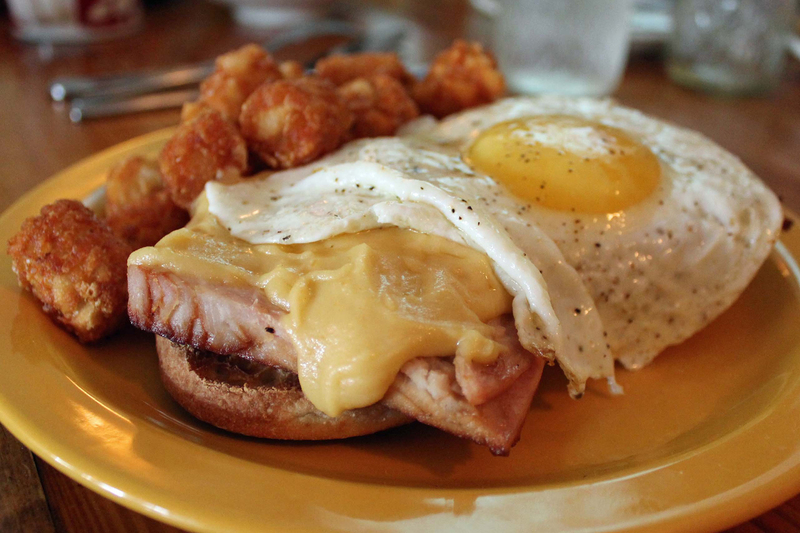 This Astoria canteen serves up a menu full of ooey, gooey brunch offerings. Think bacon-scallion mac and cheese ($14), an egg sandwich topped with tater tots ($14) and cornflake-crusted fried chicken and waffles ($14). 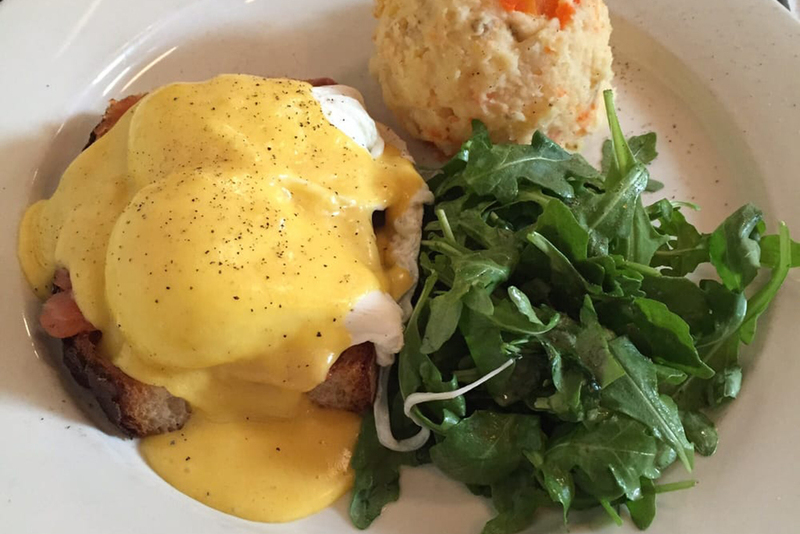 Expect similarly oddball versions of eggs Benedict, 10 in fact: One features fried green tomatoes with hot pepper jelly ($16); another, corn tamales with smoked pulled pork and BBQ sauce ($18); and a Creole version sports fried tilapio, cornbread and a cranberry hollandaise ($16). 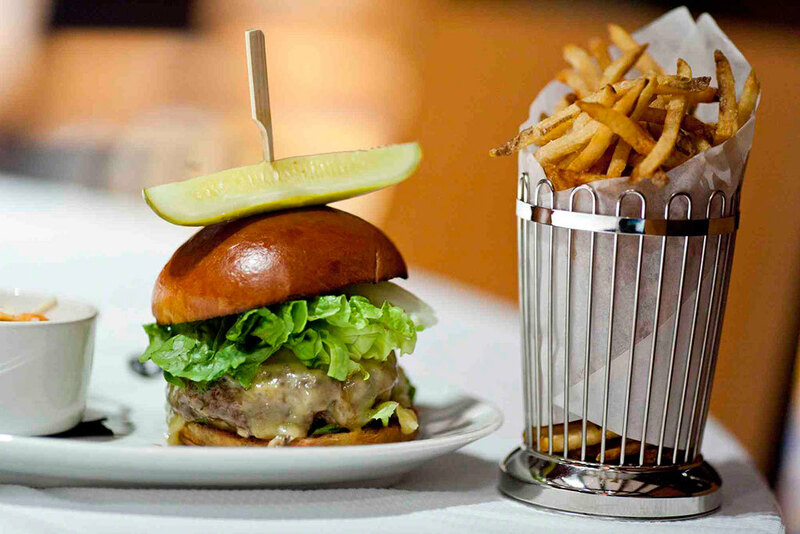 Four veterans of Public are behind this seasonal American restaurant in Brooklyn Heights. 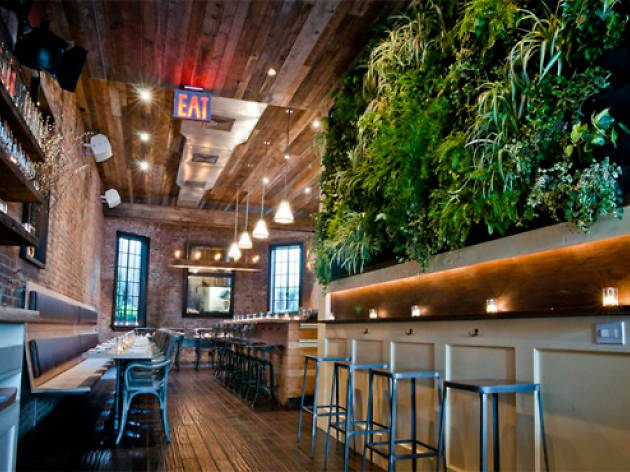 Paying heed to the current barnyard-chic aesthetic, the eatery showcases a vertical herb garden, grown on a wall dividing the bar and dining areas. 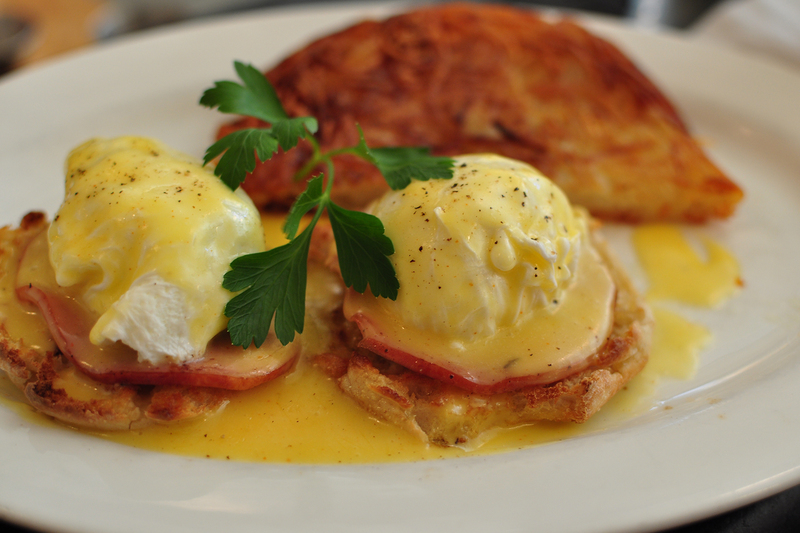 The short menu features simple fare, including a fittingly rustic Benedict ($14): A buttermilk biscuit sits in place of an English muffin and Canadian bacon is subbed out for smoked ham. 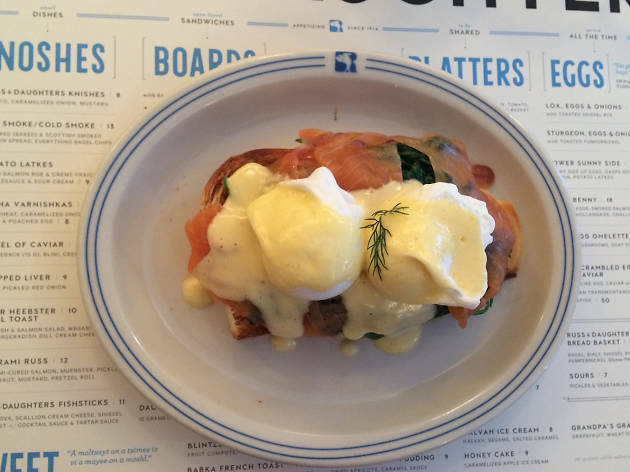 The heralded lox emporium—a Lower East Side staple since 1914—serves old-world standbys like borscht, smoked-fish platters and egg creams at its nearby full-service restaurant. 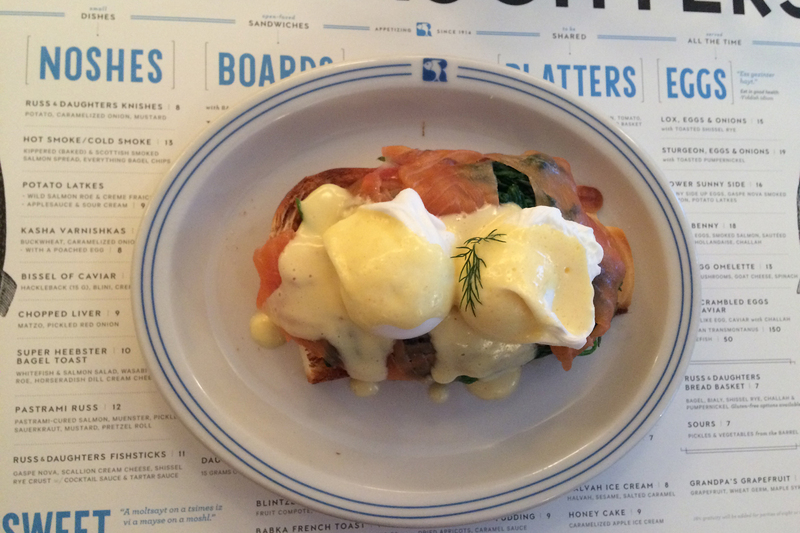 Even the trendy eggs Benny ($18) gets a menschy old-world makeover with airy challah bread and Scottish smoked salmon. Capitalizing on the versatility of eggs, this breakfast-minded shop fries, scrambles, poaches and pickles its organic, locally sourced main ingredient to top sandwiches (steak, smoked salmon) or to anchor bowls of miso-soaked quinoa and farm greens. 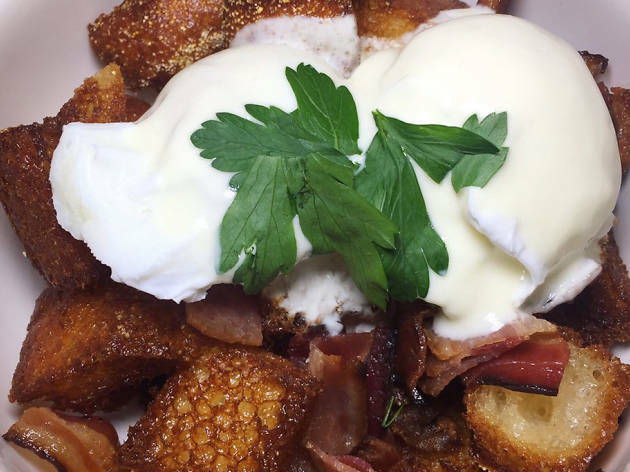 Their Benedict comes as one such bowl ($12), with poached eggs perched atop Black Forest bacon and English-muffin croutons, and dressed with a bright Meyer-lemon yogurt citronette. 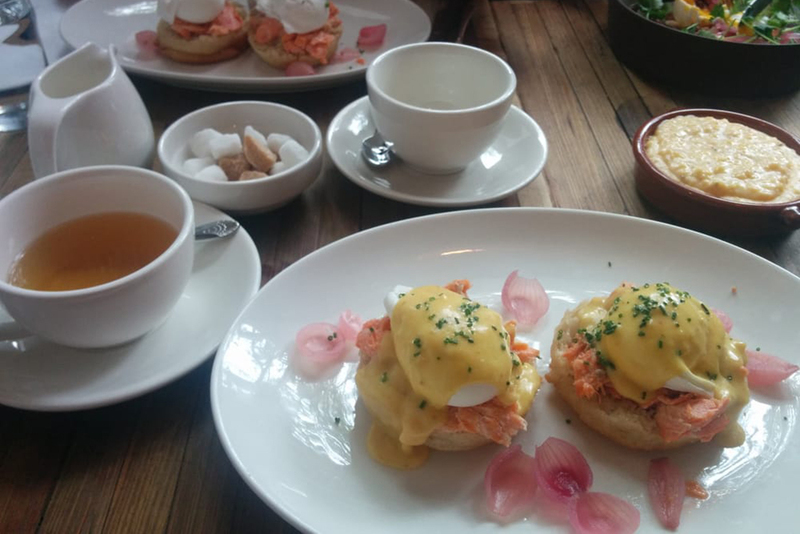 Looking for a jazz brunch? 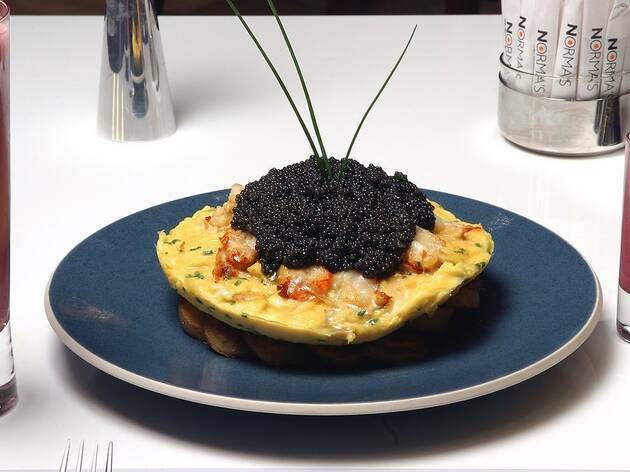 Looking to spice up this weekend's brunch? 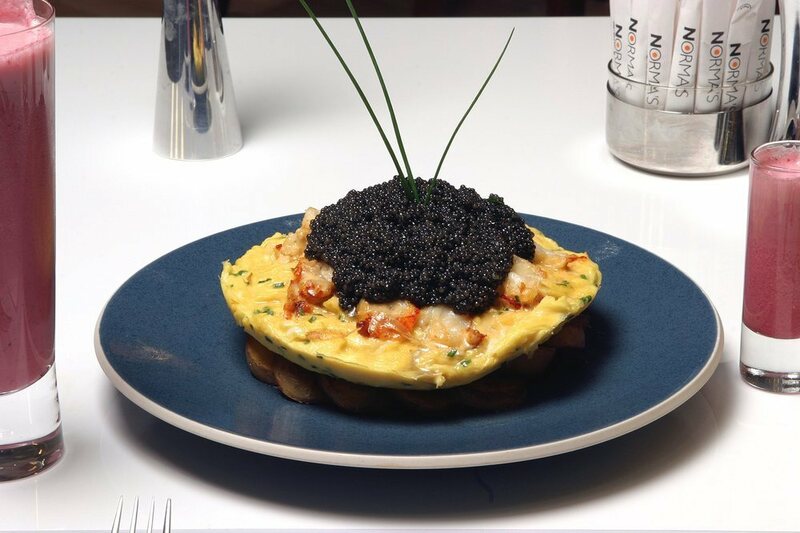 Enjoy your mimosa with a side of jazz at these spots in NYC.